Celebrating 20 years of service in the Valley. 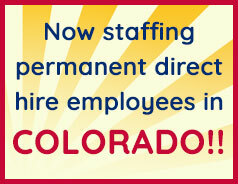 Locally owned and operated by Human Resource Professionals since 1996! DMC now has several Medical Practices, Imaging Centers, Out-Patient Surgery Centers, and Medical Billing companies hiring for both administrative and clinical positions throughout Arizona. If you have 2-3 years of experience, fill out the form below to get in touch with us today! !